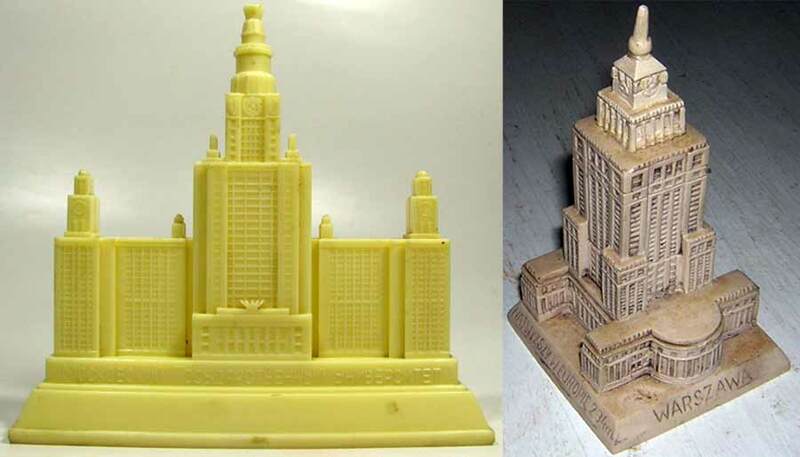 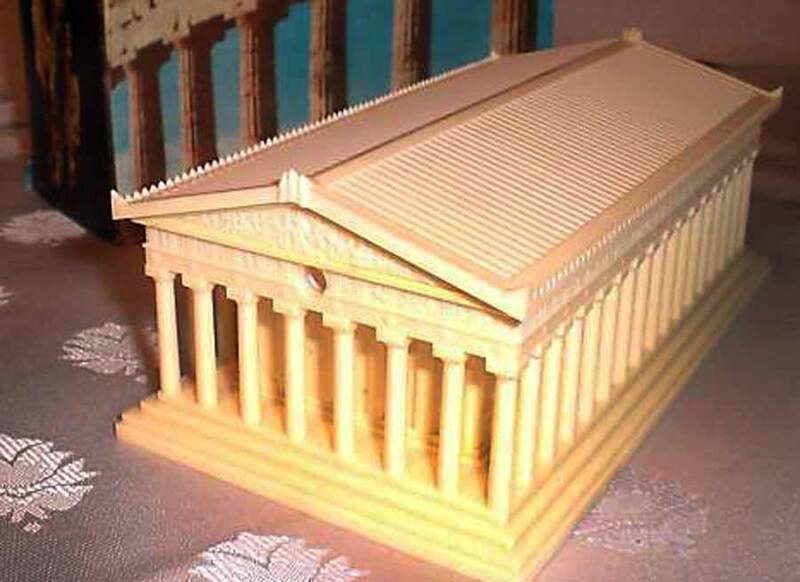 From Hard plastic to soft plastic souvenir building have been made over the years have been made of this petroleum-based material. 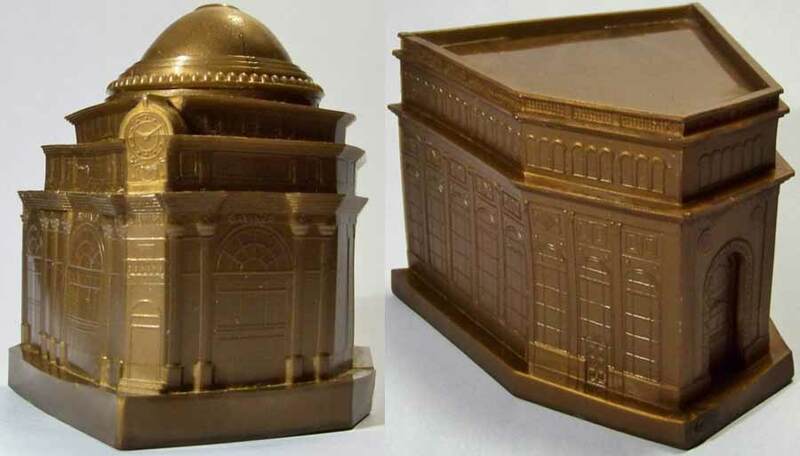 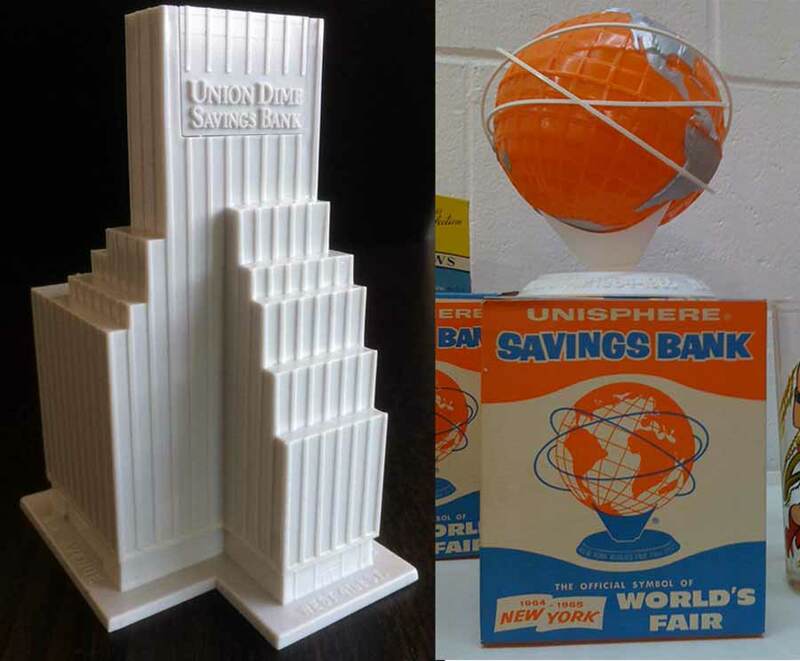 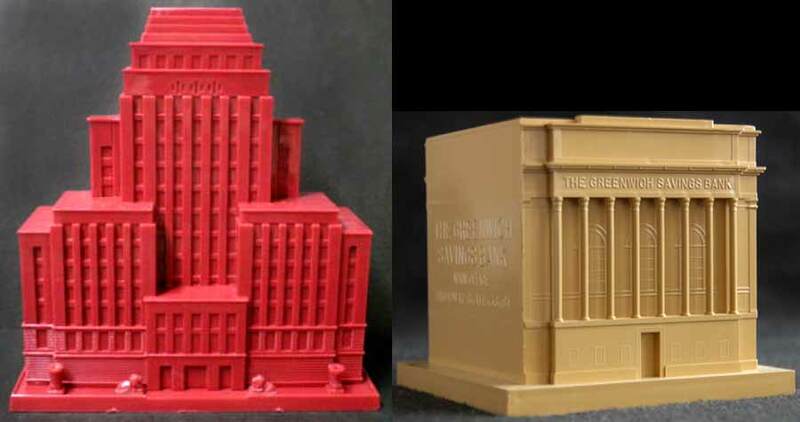 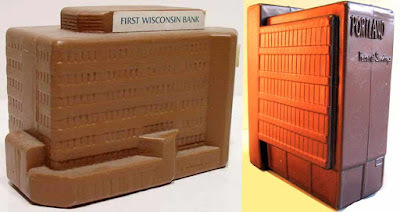 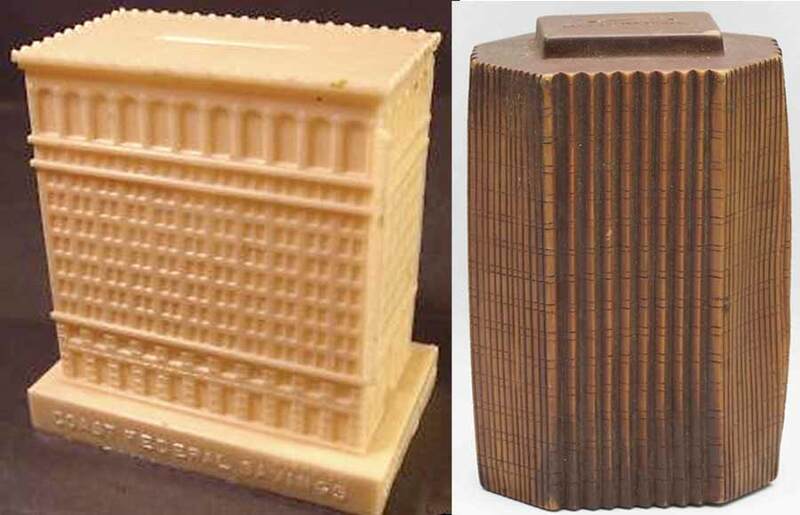 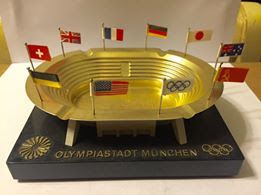 Gold plastic coin banks from Buffalo and Rochester in N.Y., Greenville S.C., Kanawah Valley, Independence Hall and Howard Johnson’s to name a few. 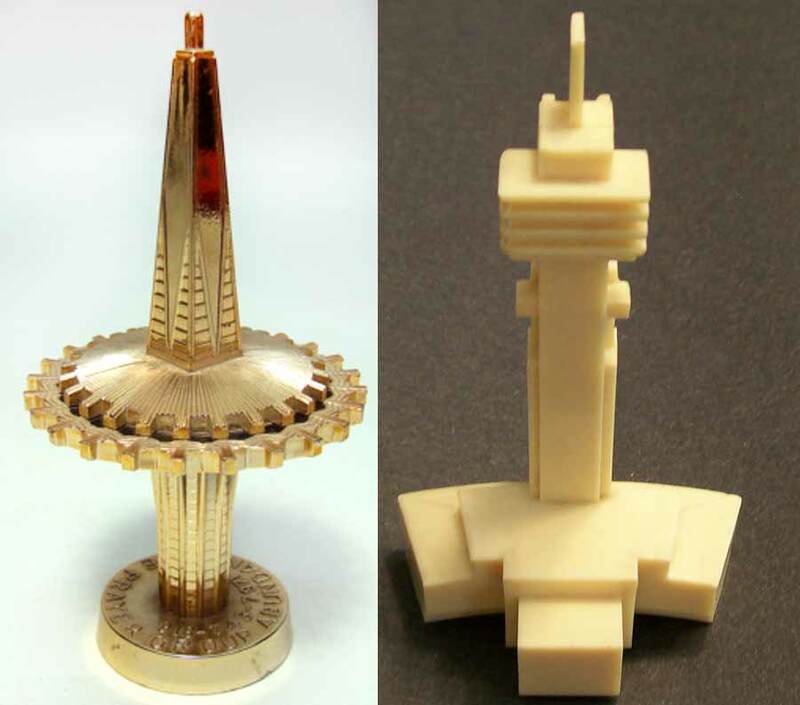 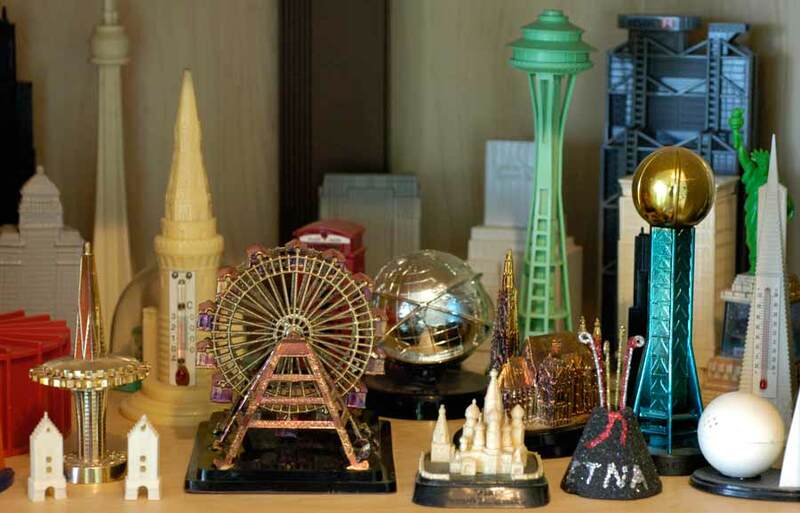 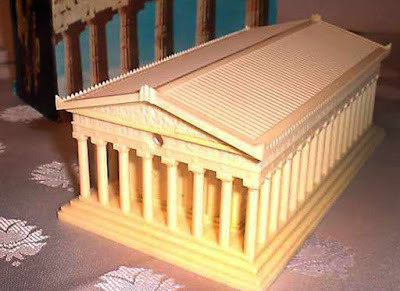 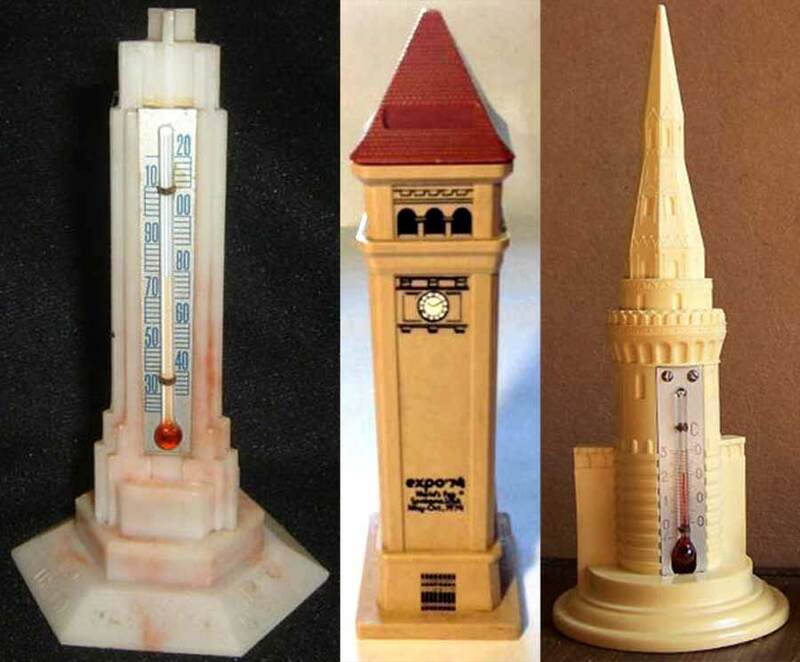 Below are some photos of various miniature building and tower replicas I’ve seen.